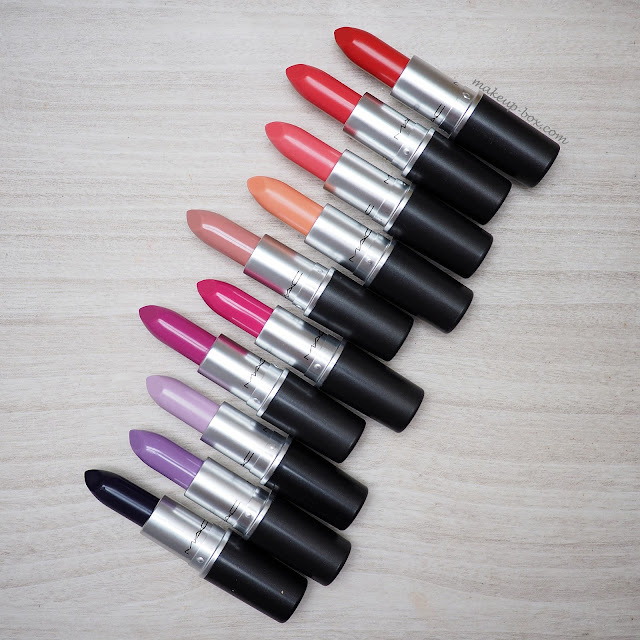 Nothing as gorgeous as shiny, brand new tubes of lipstick. Especially with colors like these. MAC's Blue Nectar collection launches soon (5 Aug) in Singapore, and features lots of floral-inspired shades from orchid purple to gladiola fuchsia to hibiscus red. And these are pigmented as heck. I personally can't pull off the ultra pale pastels anymore, but if you have a taste for dramatically pale lips, these give good pay-off. 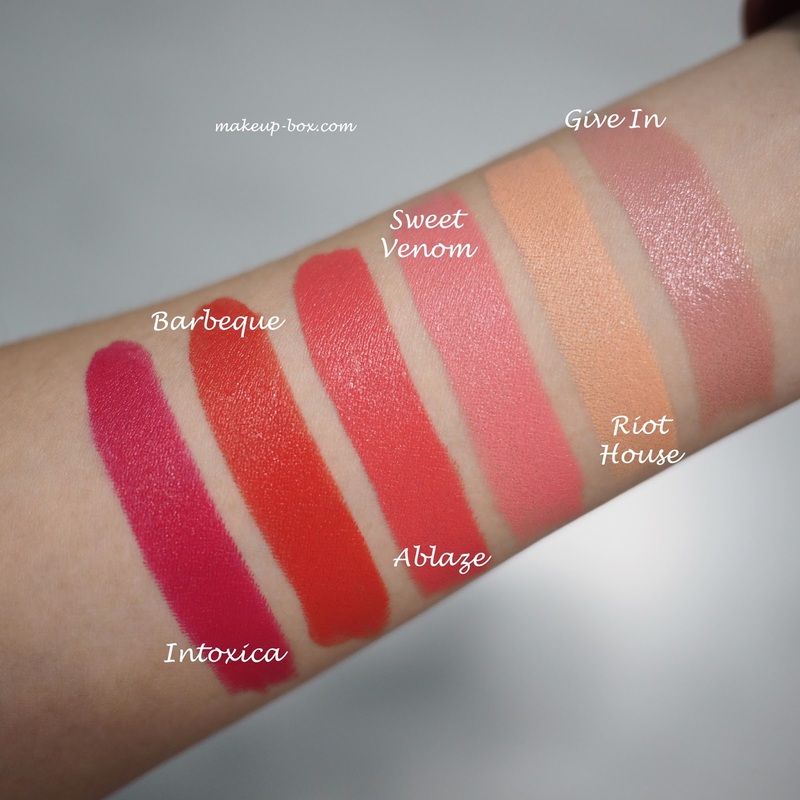 Courting Seduction and Riot House are crazy pale marshmallow shades that are so far from natural that you really don't have to think about whether they suit pale or dark skins. They "suit no one", so they could suit everybody depending on whether you have the guts for it. Same for the ultra deep purple, Lust Extract. I would say you need to be careful about building this color up, or it can look patchy because it is so dark. But it's actually a rather nice shade, and more flattering than you might imagine. As for all the mid-range colors, they are gorgeous. I think Sweet Venom will give a soft candy mouth to fair girls and actually gives more of a "pastel" themed effect than the paler shades. Try it with colorful purple or green cat-eye liner and matching peachy-beige blush. As for the corals, reds, and pinks, I can't see these going wrong on most people. Ablaze reminds me of a deeper Viva Glam Nicki I. Not as milky, but still bright, so it's probably easier to pull off without looking that neon effect. Barbeque was a shade in the Toledo collection and a gorgeous vermillion red that would look gorgeous on girls with a yellow undertone. And those pinks, Intoxica, Breathing Fire, and Invite Intrigue? I love them. The only reason you might want to skip these would be that they are not especially rare shades and probably easy to dupe or find in many other ranges. But in terms of color, smoothness and intensity, these are fab. I think there are a couple of shades missing in my press bag so I can't swatch the full range, but let me know what you think of these colors and which you're interested in!